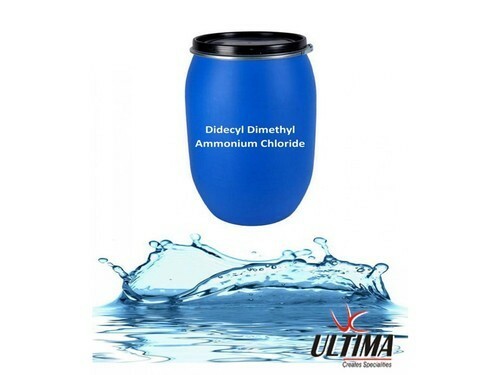 Decyl Dimethyl Ammonium Chloride (DDAC) is an antiseptic, disinfectant, which is used in many biocidal applications. They cause disruption of intermolecular interactions and dissociation of lipid bi layers. Application:Biocides, Nucleating Agents and Quaternary Compounds, Drilling. We are offering a Best quality of Didecyl Dimethyl Ammonium Chloride 80% (DDAC) to our valuable costumers.